It responds to various combinations of rod work, has a sharp lift and falling action, and is very stable during slow to fast retrieval. The fast swimming initiation after contact with the water or contact with weedy structures is unique to the flat shape and the highly dense design of the Realis Vibration. Its stable vibration pitch even with its small body will appropriately produce a surge under the water appealing to the fish. 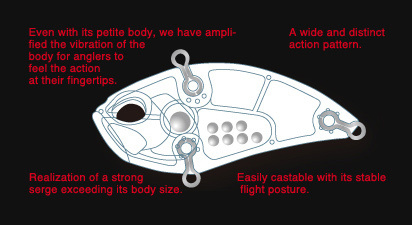 The carefully positioned weight balance and its aerodynamic design has given the lure amazing castability. Anglers will be able to utilize this versatile lure in over fished ponds, reservoirs and damns or shallow areas with overgrown weeds. 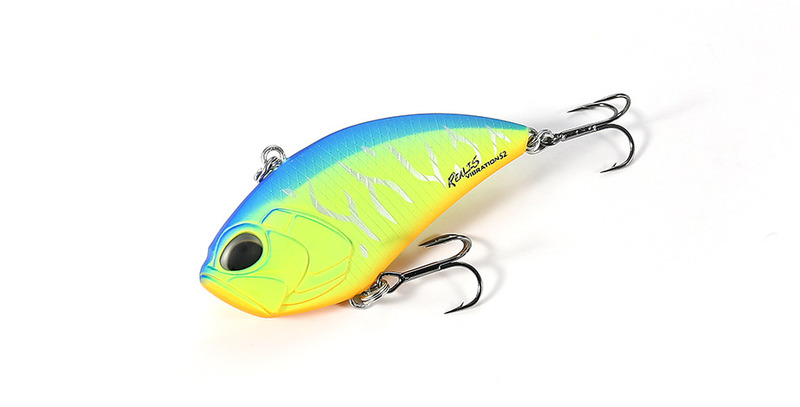 Even the spooked fish will be deceived with the potential of this lure.